The SAT exam is a very important step for those that are aiming at a college education, and getting good scores is a definite priority. High SAT scores will mean the difference between getting into your target school or not. Preparing for this exam is a must, and it’s always a good idea to know how to do it properly so that you don’t waste time and effort. 1. The first thing you have to do is register for the SAT exam. To do this, you must go to the College Board website. There you can create an account and register. When you do register, you can choose locations and exam dates to your convenience, so it would be a good idea to pick a place that isn’t too far from you. Also, when you pick the date of the test, take into consideration the time you will need to prepare for it. Try to get to know the SAT and give yourself at least three months to study and practice. If you don’t have that much time because of college deadlines, then be prepared to put some extra hours per week so that when you go to take the test, you’ll be more than ready. 2. You should also know what to expect in terms of how the test is put together and structured. 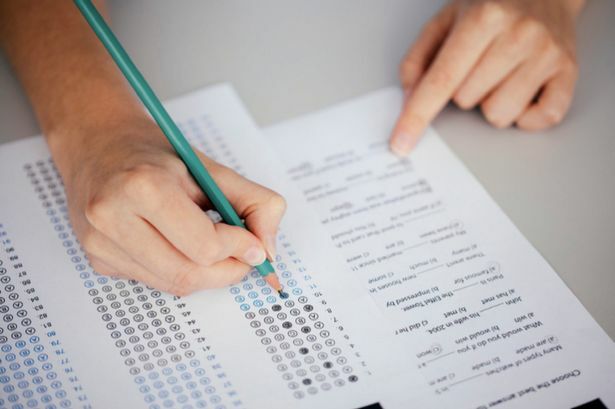 The SAT is out of 1600 points that is split into two parts: 800 points in the Math section and 800 points from the Evidence-Based Reading and Writing (this is a Reading test and a Writing test). You can’t score lower than 400 points. There’s also an essay section which is optional and is scored separately. It has three domains and each of them is scored out of eight points, so the maximum essay score is 24. The two main blocks of the test are made up of multiple choice questions and they each have four possible answers. In the math section, though, some of them are “grid-ins” or “student-produced responses”, where you have to calculate the answer and include, or grid it, in a special section of the scantron. This chart will give some handy information about the order of the sections, the number of questions and the time you have for each of them. 3. One of the things you should know about the SAT is that one their objectives are to determine your skills in different areas and one of the ways they do this is by having a particular style when it comes to asking these questions. It’s a good idea to become familiar with the wording and overall style. This applies to each section because they are different when it comes to the approach they use for asking the questions. This means that the preparation needed for the math section is totally different from the reading section, which is also different for the writing section. 4. Once you’re on the path to the test, you need to figure out which areas are your weakest and set a baseline. To do this, you should take a timed practice test that includes all sections. You can find some of them on the College Board website for free. We recommend that you find a suitable place to do these practice tests and have all the materials you will need with you, just like you would on the real test. You can then use scoring guidelines so that you can figure out your score and this will help you determine where you need to work on more. Check to see what type of questions you answered best and faster, and vice versa, also check for which questions you skipped and pay attention if there’s a pattern. There are several guidelines so that can calculate subscores in different areas. 5. After you have your baseline from the first practice test, you can then set your score goal. It’s important that you set a realistic goal, for example, improving the score by 100 points in one month is doable, however, aiming for 300 point increase in that same period of time, is much more difficult. Keep in mind that the more you want to improve, the more work you have to put into it. 6. A study schedule that you can truly follow and stick to is also a huge part of the SAT preparation steps. It’s a good idea to set aside specific blocks of time in advance, that way you stay organized and don’t allow other activities to clash with your SAT studying time. 7. Good, so you have your goal set and a study schedule that you are committed to putting in practice. Now it’s time to start reviewing the content for the test. Start learning any material that you don’t know yet, and always review what you do know. Make sure that you target those areas where you’re weak, but don’t take the subjects that you already know for granted. Always stay on top of them too. 8. You should look for websites and books that focus on practice tests and test strategies. These strategies include time management during the test, tips for eliminating answers, and tips for specific sections. You can find tons of material on the subject on the internet and libraries. 9 Practice a lot. You can do this in two parts: one focused on specific skills that you need to improve; this one will probably take most of your study time. The other one is to take a few complete test practice runs, where you can work on the time management and stamina. When you take those full test practice sessions, make sure to include breaks and snacks too. Preparing for the SAT test can be a long and heavy experience, but making sure that your score will help you go into your school of choice makes it worth every second.